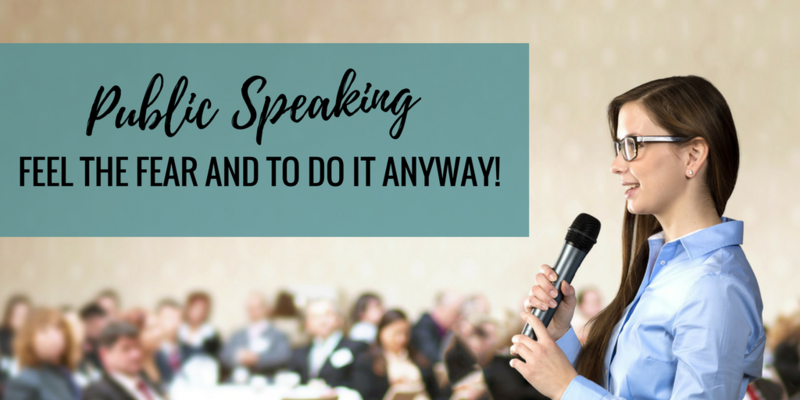 We all know the benefits of public speaking to grow our businesses… it boosts our credibility and establishes us as an expert, helps us develop a personal connection and build trust, enabling us to provide value and generate leads for our businesses. For many of us, that first time some of us had the opportunity to present ourselves and our businesses, it wasn’t pretty! And after it was said and done, we were probably disappointed with ourselves for not being able to engage the audience and delivering value we wanted to without being in our heads. And most likely the second time we were approached to speak, we were better prepared, but not quite where we wanted to be. THE TRUTH IS THE FRIGHT AND NERVOUSNESS DOESN’T GO AWAY OVERNIGHT, EVEN FOR THE MOST WELL-REHEARSED AND SUCCESSFUL PERFORMERS. The first step is to have the courage to get on stage regardless of that fright… to feel the fear and to do it anyway! But with that said… Even if you eventually feel comfortable on stage; if you are not experiencing the main reason you probably wanted to overcome public speaking; which is more clients and more sales, then what’s the point? You see the real magic happens when you have the clarity to deliver the content and convert your prospects into clients. That’s where the money is! You can’t be a successful speaker and not be able to increase your influence and your income! The stage is a great platform so people can hear you, and understand how you can help them, and with the right structure, it’s the fastest way to create BIG results! NEXT MONTH, December 8th through the 10th, our friends at the Global Mentoring Center Inc. will be showing you how to become the authority in your industry, sell yourself as a professional speaker, get booked and make the money you deserve. The 3 DAY in-depth boot camp training will give the exact step by step system that has allowed other entrepreneurs to sell 6-figures from the front of the room time and time again! We encourage you to learn more about this event and if you are serious about improving your public speaking skills, attend! $397 Bring a Friend for an Extra $100 at $250 each.